Inbound marketing is a practice to bring people closer to your brand. Beginning with an inbound marketing system can feel like tossing spaghetti over the walls at times, and that is the way it must feel at first. Also, after the initial couple of tosses, you must begin measuring the kind of content that reverberates with your target audience. Just like any other marketing practice, results matter. Content takes a lot of time to deliver and publicize. As a businessman you need to know that it’s worth your time and resources. You must also know what results you’re looking forward to recognize what to measure, and how. 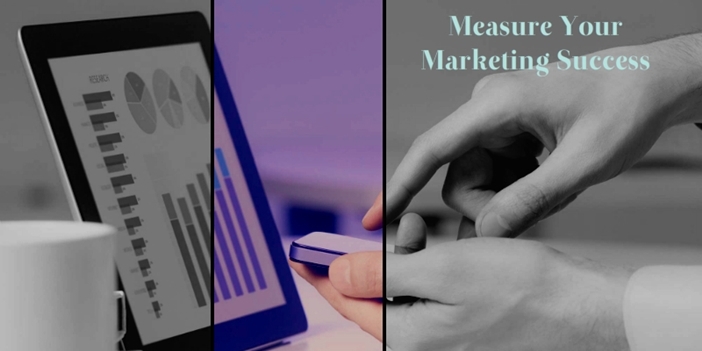 Here are some important points you need to consider about the role of analytics in your inbound marketing approach. Smart marketers know exactly the number of people looking at their site, and where they came from. Traffic over your website is more than a single number; instead, a series of information sets that show where you’re getting noticed. In case social media is driving your traffic, pat yourself on the back for writing captivating content that leads visitors to your website and get to work on your SEO strategy. Along with early site visits, track returning visitors as a great sign of how successful you are in attracting people back to your site. One of the most ideal ways you can evaluate your social media and blogging activities is by the quantity of email addresses you catch once somebody goes to your site. It is also an impressive approach to sustain these guests into your sales funnel and transform them into qualified leads. With the use of your social media platforms and a qualified leads, you can create a database of messages that goes about as the best sales tool you have. As long as you give your email list recipients with an approach to “opt-out” of getting your messages, and send quality information to them within your campaign; the email list remains a precious method to evaluate the success of your marketing efforts. You might have a million fans on Twitter, Facebook, Google+, and Instagram, but if nobody is talking, making queries or giving input, it doesn’t make a difference. Engagement offers insight into the pain points and priorities of your clients. Retweets and shares are one more essential indicator of success. Personal references count great, and every social share will get your organization message into the feed of several persons. Keep in mind, social media is about more than simply posting content –you really need to be social to attract your audiences of people. Build inbound links appropriately that includes writing smart content full with great ideas and data. It is of no doubt that the Google algorithm is a well-kept secret, but the worth of inbound links perhaps is much more than 70% over on-page SEO strategy. The percentage of your bounce rate increases when someone leaves your site just after viewing a single page. Or when a person leaves the single page idle while visiting some other tab. As an industry average, 50% of bounce rate is normal for a business but when you begin getting into the 70% or more, there may be an issue you have to address. By combining all of these metrics, you can quickly know about the strength of your site from the client’s experience. In case you are experiencing a higher bounce rate, low pages per visit and a low average time spent on your site, it is the ideal time to fix the issue. The traffic on your site is a scale of success to evaluate your marketing automation. The quantity of people who head to your site reveals the charm of your lead nurturing campaigns. Try maximizing this metric by organizing messages to your lead lists. This is more like a landing page with quality content and an acceptable call-to-action. The ratio of people who click your action button and complete the form is your lead conversion rate. The lead conversion rate is an incredible pointer of how powerful your landing pages are. Track where your leads are originating from. analyze your data, keywords performance and social networks and find out what’s working best for your business. As per studies, 98% of your website’s visitors will never come back. A returning visitor is a valued asset. The best thing about returning visitors is that they are not strangers to your site, and more likely to become leads. Return on investment drives traditional advertising campaigns, and the marketing metric still matters for inbound efforts. Use ROI to evaluate where your time is best spent. You may find that LinkedIn leads a bigger number of sales than Pinterest, or paid remarketing campaigns aren’t working. Modify your efforts appropriately to boost your marketing dollars. You can’t bear the cost of a high unsubscribe rate. As indicated by an email marketing study led by Silver pop, normal email unsubscribe rate for all industries ventures is 0.25%. Top reasons for this un-subscription remains frequency of the messages. Messages are either sent too frequently or do not possess some quality information. In this regards, successful marketers follow the best practices for email marketing each time they send out a message.